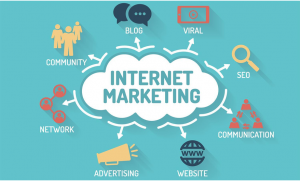 Internet marketing should be an intricate part of your overall marketing plan. If your business doesn’t have a website, your competitor is probably eating your lunch. In this day and age, you always have to stay ahead of your competition and by having a website, you are on the right path to get your business out there. Internet marketing involves several aspects and you cannot stop just by having a website. To drive business to the site, you need to advertise the website and that’s what what we are experts in. To see how we can help you with a marketing plan, we encourage you to click on the sub-pages and let us know.